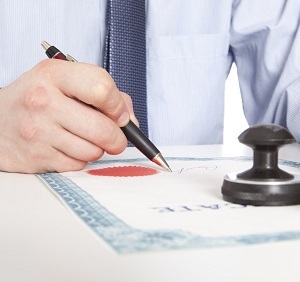 Occasionally it may be necessary to have documents certified by an official body. This process may be needed for documents such as international tender bids, or documents required for immigration purposes. Any document requiring this certification will go through a legal procedure. This will be carried out by an official translator who will in turn legally certify and stamp your documents. The procedure can vary from country to country. Most often this service is carried out by a translator that is entered on to a list of court appointed experts, selected by a special commission, who usually meet on a yearly basis. An official translator can only claim to be so, if they are appointed by the regulatory body. The translator will be highly skilled, particularly in the legal field. They will be officially sworn in and have his or her accreditation treated as authentic by the European court of law, and any governmental bodies. We work with a large circle of official translators. Due to our methodology and expertise at Optilingua, requesting an official certification may not necessarily escalate our turnaround times, giving you the added assurance that we will complete your translation as quickly, and as cost effectively as possible. To judge the quality of our work, contact our professionals.